Exquisite pattern featuring 3 different variations of the T-yoke style made famous in the 1920's. 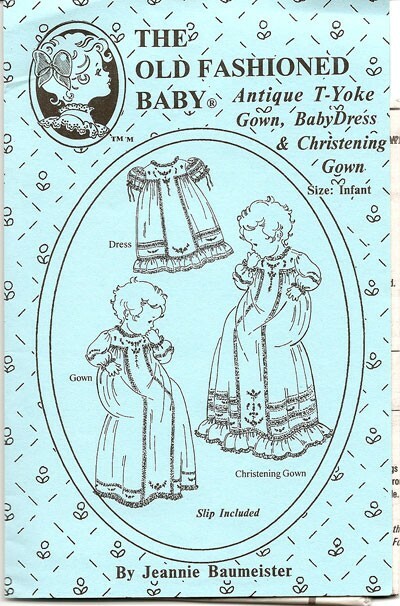 Christening gown is suitable for boy or girl. Gowns or dress can be embellished w/lace, embroidery & ribbon. Christening gown measures 27" long, while the baby dress is 21". Long or short sleeves are included. A baby slip for each garment is included & buttons down the back.